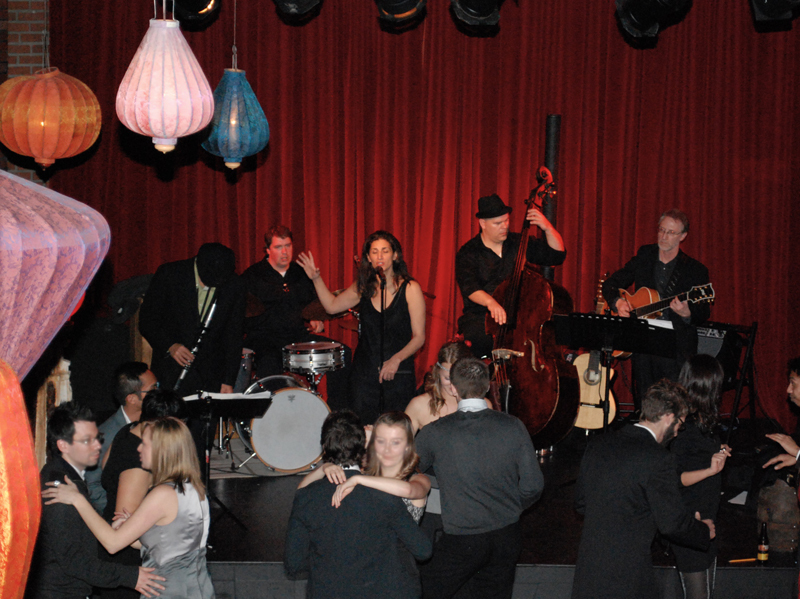 1 Why Hire Live Music For Your Next Party? When was the last time you attended a wedding or holiday party? Do you remember the food? The color scheme and centerpieces? OR do you remember the music? Being a professional wedding singer, I have to admit I’m a bit biased when it comes to hiring a live band for special occasions. But having witnessed hundreds of ceremonies and celebrations, I’ve seen time and again how live music can make a big difference. • 81% of guests say entertainment is the most memorable part of a wedding or special event. • 72% of all brides say they would have spent more time choosing their reception entertainment. • Almost 100% say they would have spent more of their budget on the entertainment. • During wedding planning, brides say their highest priority is their wedding dress, followed by the reception site and caterer. Reception entertainment is among the least of their priorities. • Within one week after their reception, 78% of brides say they would have made the entertainment their highest priority. *These statistics were published in St. Louis Bride & Groom Magazine in 2003. SO WHY HIRE A BAND? A live band helps break the ice. It’s a fact that not everyone at your party will be social. For your shy co-workers and family, hiring a live band is a great way to keep them entertained and keep the awkward silence to a minimum. Unlike DJs, live bands provide music and a show. A good band can read the room and pick up the tempo when things seem to be moving slowly. Professional bands take care of the details. 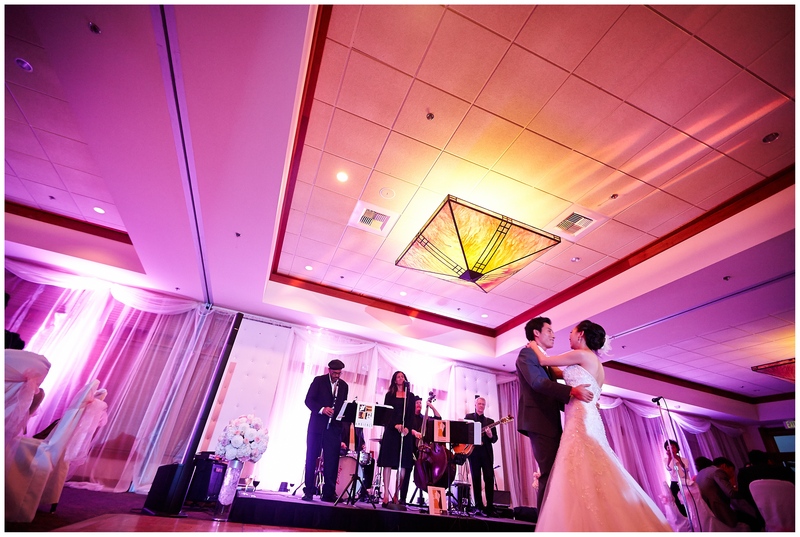 By hiring a live band the host will not have to worry about renting or setting up and sound equipment, assigning a friend as an emcee, or building a music library to play on an IPod. Good live bands are professionals—they show up on time dressed appropriately and take care of what needs to be done to keep the party moving. 1. Book the Band & Your Venue at the Same Time. When looking at venues, check with the on-site coordinator if there’s room for your preferred band and equipped to handle their sound equipment needs. If you’re planning to rent an outdoor space in a neighborhood or park, make sure to check the local sound ordinances within the community’s bylaws or from the Park Department. Choose a band with a specific sound. In general, bands that cover all genres of music are also pretty mediocre at all genres of music. A band with a specific niche will have spent time studying a smaller range of songs and will be much more polished. GigMasters is a great website to find live music available for hire in your area. Contracts can seem a little intimidating, but they actually protect you just as much as the band. Without a contract, there is nothing to stop your band from canceling hours before the event. Be very specific about your expectations and make sure any additional services such as an extra hour of music, song requests, band attire, etc. are included in the contract. See attached PDF file for suggested questions to ask the band. Hopefully these tips will help you throughout the planning process. If you have any questions please feel free to ask.